The US has cast its first Obama UN veto, rejecting a Security Council resolution which would have condemned Israeli settlements in the Palestinian territories “as an obstacle to peace”. A top Fatah leader and former Palestinian intelligence official, Tawfik Tirawi, told the Palestinian newspaper Ma’an that the veto “amounted to ‘blackmail”. He said it exposed the true face of America as well as the extent to which its role in the Middle East peace process harmed Palestinian interests. Israel said it was deeply grateful to the United States after it vetoed a United Nations resolution put forward by the Palestinian leadership condemning Israeli settlement activity. Prime Minister Benjamin Netanyahu’s office said in a statement, “Israel deeply appreciates the decision by President Obama to veto the Security Council Resolution”. This weekend, a new member enrolled in Likud – and not just in the ruling party, but in its most hawkish wing. . . .The first veto cast by the United States during Obama’s term, a veto he promised in vain not to use as his predecessors did, was a veto against the chance and promise of change, a veto against hope. This is a veto that is not friendly to Israel; it supports the settlers and the Israeli right, and them alone. 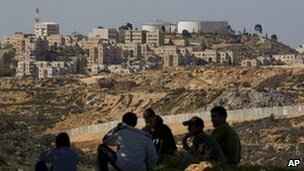 “[the US still rejects] in the strongest terms the legitimacy of continued Israeli settlement activity. For more than four decades, Israeli settlement activity in territories occupied in 1967 has undermined Israel’s security and corroded hopes for peace and stability in the region. Ambassador Susan Rice’s statement was astonishingly defensive – she went to great lengths to claim that the U.S. actually agrees with the resolution, that no one has done more than the U.S. to support a two-state solution, that the U.S. thinks settlement activity (not, we should note, the continuing existence of longstanding settlements now home to 500,000 illegal Jewish settlers in the West Bank and occupied East Jerusalem) violates Israel’s international commitments and more. She tried to convince the world that “opposition to the resolution should not be misunderstood” to mean the U.S. supports settlement activity – only that the Obama administration “thinks it unwise” for the United Nations to try to stop that settlement activity. She defined settlements as one of the “core issues that divide Israelis and Palestinians,” not as a violation of international law and a host of specific UN resolutions. Therefore, she claimed, the issue was just one of the wrong venues for this debate. We’re really against settlements, she pleaded, we just want to end them OUR way. On OUR terms. In OUR peace talks. And we all know how well that’s gone so far. It is a good question from the Rice University, Palestinian American scholar, who is a member of a distinguished family that includes Makdisi’s uncle, Edward Said. Makdisi was responding to the “outrage of the people” of the Middle East over what is “more than a revolution in Arab affairs”. Although [this outrage is] unquestionably first and foremost a revolt against unpopular and illegitimate governments and the economic and political despair these governments have engendered, the mass protests are also a revolt against American foreign policy itself. For decades, successive U.S. Republican and Democratic administrations have supported repressive Arab regimes in the name of the “stability” of a strategic, oil-rich region. This discourse of stability rationalized repression of Arab citizens. The US veto of the UN anti-settlement resolution is jarringly out of step with the demand for democracy from Middle East Arabs, including Palestinians. The old order is rapidly changing. That demand has been received with enthusiasm by progressives and freedom loving Americans. The enthusiasm is muted, however, among US conservatives and among PEPs (Progressive Except for Palestine) in the American government and other ruling elites. The source of that reluctance is no surprise. The Media Line: The MidEast Media News Source reports on reactions from Israel, under the headline, “Israel to World: Don’t Be So Fast to Push Democracy on Middle East”. I kid you not, that is the headline. See the full report for yourself, by clicking on the Media Line title above. While touting its own democratic credentials, Israel has been warning the world not to let experiments in democracy spread across the Middle East, lest Islamic fundamentalists are voted in. “We don’t want to stay the only democracy in the Middle East. We would love to live in a neighborhood where all countries are democratic. But is it feasible now?” Deputy Prime Minister Dan Meridor said in an interview with The Media Line. Israel’s response to the current Arab uprising in the region is consistent with the way Israel responded to the February, 2006 Parliamentary democratic elections in Palestine, an election only reluctantly agreed to by Israel. The US assumed Fatah would win the election in both the West Bank and Gaza. Hamas won 74 Parliament seats out of 132, while the then-ruling party, Fatah, won 45 seats. In any democratic election, that is a victory for Hamas. International observers, including a team organized by President Jimmy Carter, reported that the election was conducted fairly. 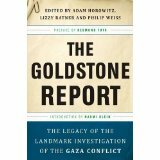 This information on the results of the 2006 elections won by Hamas is from The Goldstone Report: The Legacy of the Landmark Investigation of the Gaza Conflict, edited by Adam Horowitz, Lizzy Ratner and Philip Weiss. This book includes an introduction by Naomi Klein, along with major sections from the Report and additional essays providing context of Israel’s 2008-09 invasion of Gaza. And just what was Israel’s 2007 response to Arab democracy in its neighborhood? More than half of the elected Hamas Parliament members were thrown into Israeli jails. Israel, the US and the EU imposed economic sanctions on Gaza, after a US-Israel organized and sponsored Fatah coup failed to overthrow Gaza’s Hamas government. That economic sanction on Gaza has been enforced by Israel with the consistent cooperation of President Mubarak’s Egyptian government. The sanctions have crippled the Gaza economy and punished its population. Now, Gaza’s southern flank is guarded by Mubarak’s replacement government, an army leadership which has promised to hold democratic elections. Will the US join Israel in putting pressure on Egypt’s emerging government to continue to seal off Gaza’s southern border? Ussama Makdisi concludes his recent Huffington Post essay on the current demand for democracy in the Middle East, with an analysis that would encourage the White House if only the President would listen to scholars like Makdisi, who operate beyond the Washington beltway. As events in Egypt have demonstrated, Arab autocrats will not abdicate willingly. But ordinary people insist on real change. Mubarak’s sudden downfall is a testament to the strength of a human desire for dignity. Because its hegemony in the Middle East has been so unpopular, the United States may soon have to confront a day of reckoning when Arabs finally achieve their democratic rights. The irony is that the idea of self-determination began with an American president, Woodrow Wilson. Yet this idea has been systematically betrayed by the US in the Middle East since 1947. 2011 may well mark the beginning of the end of corrupt Arab regimes. And with the fall of these regimes there will be an opportunity to build not only a free Arab world, but an American foreign policy that supports this powerful current, and not, as it has done for decades, stand in its way. Presidential leadership will be required to redirect US policy toward what Makdisi terms, “this powerful current”. President Obama will be conducting this struggle on his own. He cannot expect any support from the US Congress. He will need strong citizen support. He will also need help from progressive politicians and religious communities. This would be a good time for PEPs (Progessive Except for Palestine) to respond to Middle East demands for real democracy. In the picture at top, taken on the day the US vetoed the UN resolution condemning Israeli settlements, Palestinian teenagers are shown looking at the exclusive Jewish settlement of Modiin in the West Bank. The picture is from the BBC web site. It is an Associated Press photo. Our Wall Writings Alert mailing list continues to grow with new readers. Other readers receive an alert from helpful readers who forward the alert to their own mailing lists. Sabeel has been an especially valuable ally in doing this, for which we are most grateful. However, we can not expect Sabeel, nor other web sites and groups, to forward all of our postings. To be sure you will receive the full range of Wall Writings postings, send an email to jameswall8@gmail.com. Write on the subject line, “Please add me”. I am totally disgusted with President Obama and Amb. Rice’s lack of support of Palestinian rights. What utter hypocrisy! This only demonstrates the lack of integrity on the part of Obama. My relentless optimism got the best of me. I actually thought/prayed we would abstain. Alas. I will visit a dear friend in Beit Ommar tomorrow, a friend who regularly risks his life to bring justice and peace to his neighbors, both Palestinian and Israeli. I go there ashamed of the actions of my country. Susan Rice’s explanation is a kind double talk which, for her sake, I sincerely hope troubles her. It is deeply embarrassing. Alas, America has been taken over by an ideology and its practitioners collectively engaged in a psychotic criminality of unprecedented scope. Even Nazism didn’t descend to (wasn’t allowed to descend to) this level of frenzied, deliberate, vindictive, sadistic evil — without accountability — waged on a captive population for at least 10 decades. I am in near-constant disbelief that we have given the lunatic total freedom and control over the asylum. I see clearly in Jim’s commentary and the separately issued, equally forthright lament today by Dr. Richard A. Falk that there are two distinct levels of discordance at play here: one in “official/lobby/media-driven Washington, DC, and Tel Aviv; and one by informed, incredulous, sane dissenters. The latter must, but has not been able to, accept that psychosis is not treated with enabling sympathy and indulgence: the disease must be observed, diagnosed and dealt with in firm resolve to confront it and in determination to end it–posthaste. To anyone who’s seen how every U.S. Congress , and to a large extent every U.S. administration, is “Israeli-occupied territory”, the appearance of an AIPAC ad just below James Wall’s column, “Help keep Israel secure by ensuring U.S. support remains strong”, says it all. In his Cairo speech in 2009, Pres. Obama clearly identified the settlements as the key impediment to peace in Israel-Palestine and he’s tried pressuring Netanyahu. But the Israel Lobby still holds the leash and blackmails Obama with its threat of redirecting campaign funds to opposition candidates. That leash still rules even as AIPAC’s reputation is tarnished by its spies in the Pentagon and its tunnel vision about Israel’s security is discredited by world outrage over the attack on and blockade of Gaza. However, Obama refuses to completely toe the leash line and Susan Rice’s statement may be intended to send a signal to Netanyahu that his time is running out. Thank you Jim for this immediate response to yet another disappointment, in a series of disappointments, by the Obama Administration. For better or worse this event shows the declining relevance and influence of the U.S. across the globe. The events in Egypt and Tunisia, which are now echoing throughout the Middle East, including in Ramallah, is a repudiation of the decades-old two pillars of U.S. “stabilization efforts” in the region, 1) Israeli hegemony, reinforced by 2) autocratic allies. At this pivotal moment in history, the U.S. administration had the opportunity to, as we occasionally have done in the Americas, Africa, and Asia, to support real, massive, and popular democratic movements (including in Palestine). Yet, we find ourselves expending the entirety of our dwindling political capital on Israel’s right-wing government. And for what? That government will continue to loathe President Obama, and he will continue to be attacked in Congress for not being sufficiently pro-Israel (despite all facts to the contrary). We have put ourselves squarely against the hundreds of thousands of protesters across the region who are successfully toppling their regimes and who will form the basis for new governments with whom we will have to seek allegiances. And we will have demonstrated, once and for all, that the Cairo was nothing more than empty words and false promises. As Turkey, Brazil, China and others rise in prominence in the global sphere, we may one day soon find ourselves alone with our so-called erstwhile ally Israel, supporting a formalized apartheid state. This veto is another example of how our government does not represent justice, fairness or equality under the law. It represents coorporate interests and othe people who have hugh amounts of money at their disposal to control government policy. In this case, it is the Israel Lobby, with AIPAC as it’s leader. It has run our mideast policy for decades, a group that represents and advocates first and foremost for a foreign nation, Israel. It is a national disgrace and is treasoness at its core. Thanks, Jim, for an excellent article. Over the decades, I have heard the argument that a US President cannot speak out on Israel/Palestine until the second term. I no longer believe in this myth. US Presidents are still at the mercy of AIPAC, both terms, for different reasons. Congress is in their pocket for reasons we all know. To me what has evolved is an entity that is a virtual “Zionist State” with 2 capitals, Tel Aviv and Washington, D.C. Unfortunately, this leads me to believe that people in the US will not wake up until they feel the pain in their wallet. The long-term solution is to awaken the great American people with articles like yours by spreading them far and wide, with Face Book, Twitter and such modern methods of communications. The Arab Awakening II, or the Great Arab Revolt II, as it is also called, (the first was against Ottoman rule in the 1900’s) is happening as we speak. We urgently need an American Awakening I. The February 19th Jerusalem Post quotes Palestinian officials as saying that Obama put heavy pressure on Mahmoud Abbas to withdraw the resolution and even threatened to withdraw financial aid from the Palestinian Authority. After Al Jazeera showed that the PA had offered to give Israel much of Arab Jerusalem and after revolutions in Tunisia and Egypt have shown the power of the Arab street, Abbas showed some backbone in standing up to the U.S. I really appreciate your new posting, Jim, on the in-comprehinsible, stupid blunder of the Obama Administration in the Security Council. The statement of Susan Rice is not only defensive, it shows the utter lack of integrity of the White House and State Department on this issue. We saw it coming, of course, when the world’s “most powerful man” (the President of the United States) turned squeemish in the face of a third rate politician (the Prime Minister of Israel) who can’t even control his own coalition and foreign office. But Mr. Obama clearly caved in to what a few powerful American Jews want. By no means all American Jews. Just those who are already twisting his arm and saying, “Support Israel, right or wrong, like we do and we will support you in the next election.” This was an enormous mistake. I am sad, disappointed, and disillusioned with the man in whom I had put great hope and confidence. Thanks for another great article and some new resources. My first reaction was “damn”; my second, “the indictment!”; my third, “Where is Andrew Bacevich when we need him?” And then I wondered if I was in any condition to write this at all. Rice essentially says “Israel is fighting dirty. It’s not following the rules.” (Goldstone said neither side is!) But the UN can’t referee. How bizarre. If Rice doesn’t want the UN to referee, who is going to? The parties involved? By keeping the UN out, the US is de facto sanctioning a no-holds-barred fight between dramatically unequal parties, and I can’t imagine a better way to attract “days of rage” when those who have the closest ringside seats get sick of it. I can’t count the letters I’ve written in the past to Secretaries of State and UN Ambassadors protesting my country’s blatant partisanship in the UN for Israel’s illegal occupation of Palestinian land. I had hoped that Ambassador Rice would represent a different policy for this administration. Alas, nothing has changed. In spite of our words, in contradiction to our words, we in effect endorse Prime Minister Netanyahu’s words that “the Jews” have rights “within the broad borders of the Land of Israel”. In other words, the Palestinian people will never receive justice so long as the Israel-USA ironclad alliance endures. The day WILL come when we will throw off the shackles of AIPAC but in the meantime, how much more whipping can the US president take? We need to compete in two arenas where the Zionists and Israel Firsters have so much influence. In our country, it’s all about money and who is controlling the mainstream media. We need newspapers and TV and radio stations that are not afraid to give the unsanitized truth of what the Israelis are doing to non Jews in Israel/Palestine. We need a mainstream media that will give out the facts, and not cave, like Obama, to the Israel First forces. Second, we need a pro Palestinian, pro justice PAC that can compete head on with AIPAC in the political arena. This will take lots of money, but if we want to change things, these are the things that need to be done.